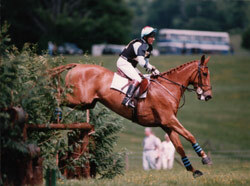 Charlie Lane is an equestrian expert with a wide variety of experience within the horse industry, as detailed in his CV. Provided over 900 written expert witness reports for over 90 firms of solicitors, including as a single joint expert. Given oral evidence on over 50 occasions, in the County Court and the High Court, in cases involving all areas of equestrianism. He is aware of the rules concerning the provision of expert evidence, and of the need to meet deadlines set by instructing solicitors and by the Court. He is well known and respected within the equine industry and is happy to provide supporting references from solicitors or within the industry. He was the leading expert witness for the Defence in the case Mirvahedy v Henley. If his area of expertise is not suited to a particular case he will be happy to provide the name of a suitable contact who will be able to provide the appropriate advice. He has provided expert evidence all over the United Kingdom and the Republic of Ireland. He is prepared to travel world-wide and has experience of the equine industry in France, Germany and the USA. He is physically fit, he is willing to, and capable of, riding most horses, should this be desirable. This includes problem horses and young racehorses. He is insured to carry out these ridden assessments. He has been instructed by Trading Standards Departments for Wiltshire, West Berkshire and South Gloucestershire.